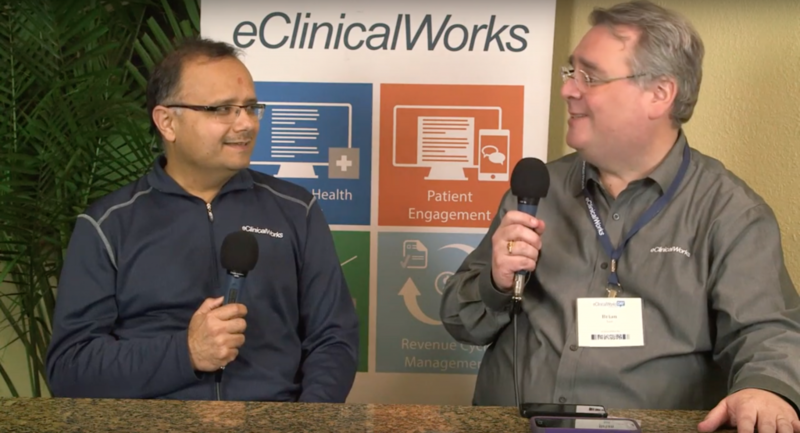 Watch eCW Podcasts to hear eClinicalWorks customers and industry experts discuss how healthcare IT helps deliver integrated care. Join us for inspiration to transform your organization! MMR Healthcare has always provided quality care to patients in Boynton Beach, Florida, but since adopting a suite of Population Health tools from eClinicalWorks, the practice has taken excellence to a new level. Providers are in effect learning a new healthcare language — one involving better risk stratification, higher visibility of cases, real-time data, and constant contact with their most vulnerable patients. Quality and satisfaction are up, and the practice has driven its hospital readmission rate to well below the national average. The eClinicalWorks EHR is a powerful tool for transforming any medical practice, but too often practices don’t take full advantage of all that eClinicalWorks has to offer. With Optimization Services, providers get the on-site training they need to maximize the utility and value of their healthcare IT. The tools are all there — our experts can help you make full use of them. Adult Medicine of Lake County has been providing quality care for more than 30 years, but in the last year, they have tackled Population Health challenges with greater effectiveness than ever. By combining chronic care and transitional care services, focusing on accurate risk-stratification in every encounter, and maximizing their HEDIS® score, the practice is improving compliance and patient satisfaction — putting them well on their way to meeting the challenges and opportunities of value-based care. 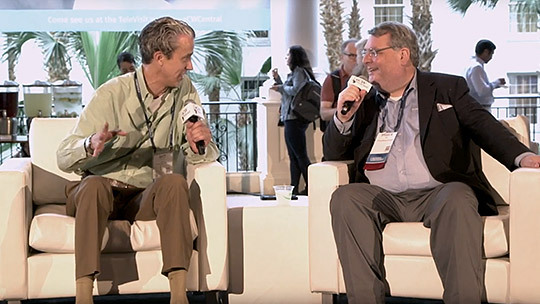 At the 2018 National Conference in Nashville, Tennessee, eClinicalWorks’ Brian Saal sat down with Jose Rocha, director of Neurosciences Corporation in Florida, to find out how First Choice Neurology’s many providers are using interoperability solutions to reduce costs and improve the continuity of care across dozens of practice locations. Now, with eClinicalWorks, the latest patient records are just a few clicks away — promoting better quality care and lowering the risk of physician burnout. Healthcare IT continues to yield ever more powerful tools for electronic documentation of care. 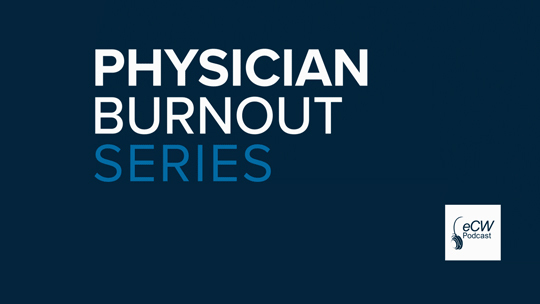 But there is an unintended side effect of all that technology: An increased risk of physician burnout. Many doctors find the hours they spend on the computer are detracting from the quality of their patient encounters, and taking a toll on their professional and personal lives. 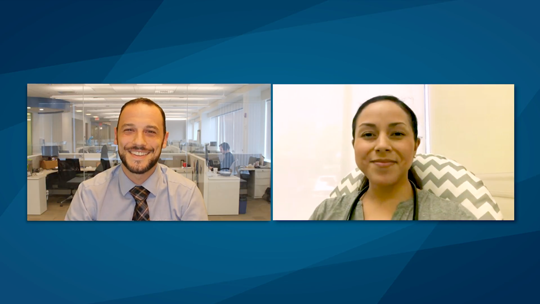 In this series of eClinicalWorks Podcasts, our in-house experts explore some of the ways eClinicalWorks is helping reduce the risk of physician burnout, including the latest interoperability solutions, and better documentation through eClinicalWorks Scribe and Eva, the eClinicalWorks Virtual Assistant. Florida’s Gastro Health is among the fastest-growing GI practices in their state, and needed a healthcare IT partner with a full range of tools to meet their rapidly changing needs. They have been with eClinicalWorks since April 2017, and are already putting many of the EHR’s features to work, including eClinicalWorks Scribe, which is making documentation of Progress Notes easier than ever before, giving back valuable minutes and hours to physicians. It’s time they can use for family, hobbies, or just recharging after a long day — and it’s helping reduce the risk of physician burnout, a critical yet often overlooked factor in the overall quality of today’s medicine. Each year at the eClinicalWorks National Conference we speak with clients who are advancing healthcare in new and innovative ways. 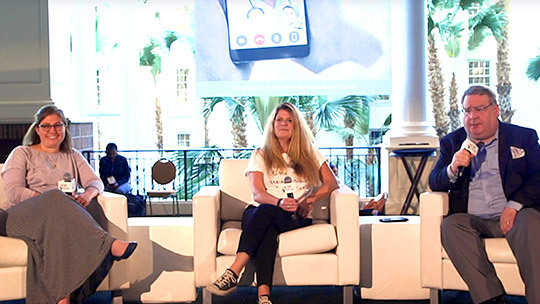 This year, Dr. Prasanthi Reddy, founder of Rainbow Pediatric Clinic in Jacksonville, Florida, and Amber Folk, CEO of Florida’s The Clark Clinic, spoke about how they are using telemedicine to provide high-quality care to their patients while maintaining the highest standards of clinical care. In this edition of the eCW Podcast, host Brian Saal speaks with Alyssa Pearson, from South Lake Pediatric Group in West Minneapolis, Minnesota, to learn how the practice is implementing a full suite of Patient Engagement tools across all six of its locations. From Patient Portal to healow Kids, along with healow Open Access® scheduling and TeleVisits, South Lake’s providers are working to give busy parents the resources and convenience they want and need, while continuing to provide the highest quality care to everyone patient and family. The cornerstone of patient-centric care is collaborative care planning. In this live eCW Podcast from the 2017 National Conference, Dr. David Zalut from Kennedy Health Alliance outlined how an integrated healthcare delivery system helps the organization serves its patients. In this live eCW Podcast from the eClinicalWorks National Conference, Candice Levy, Senior Director of Clinical Operations from Bluestone Physician Services, based in Minneapolis, Minnesota, explains how eClinicalWorks helps improve the care of elderly patients at assisted living communities and group homes that they serve. At Texoma Medical Center, Dennison, Texas, Dr. Gregory Carlson uses advanced medical assistants for exam preparation — obtaining records, inputing data, checking for compliance, and ensuring he covers critical issues during the encounter. That team approach helps make him a better doctor, focused on the patient rather than a keyboard, and helps reduce burnout. Dr. Thomas Kelly launched Shore Community Medical in December 2011, confident eClinicalWorks would meet his documentation and practice management needs. But the most critical factor in the success of this sole-provider practice has been Revenue Cycle Management from eClinicalWorks. In this episode of the eClinicalWorks Podcast, we chat with Dr. Kelly about the RCM difference, which has provided tremendous supporter to his business associate, Ahmed Elmanan while permitting Dr. Kelly to remain focused on clinical practice. Can interoperability help your practice? Physicians work in medicine, not farming, but sometimes the data they need is hiding in silos scattered all over the healthcare field. 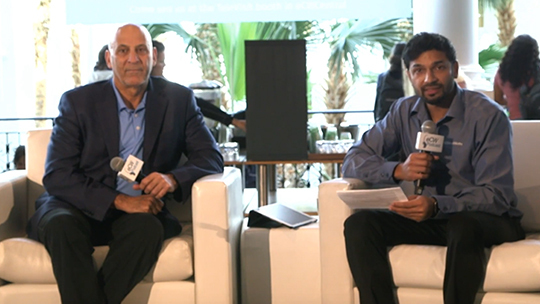 eClinicalWorks’ own Tushar Malhotra discusses what is being done to solve today’s interoperability challenges, giving providers the data they need, on demand and at the point of care. 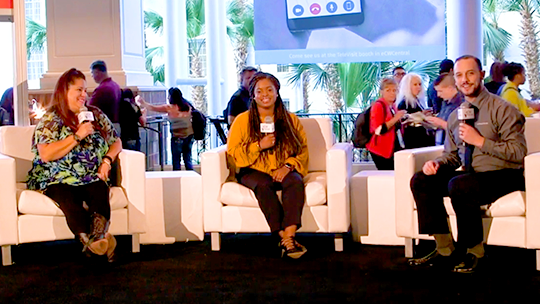 At our 2016 National Conference in Orlando, the eCW Podcast team met with customers and industry experts to produce shows on a variety of topics, including Population Health, interoperability, creating a unified medical record (Acute Care EHR), and customizing your EHR. This podcast is a 2-part series. Our host, Adam Siladi, chats with John Lynn from healthcarescene.com via a Skype call. 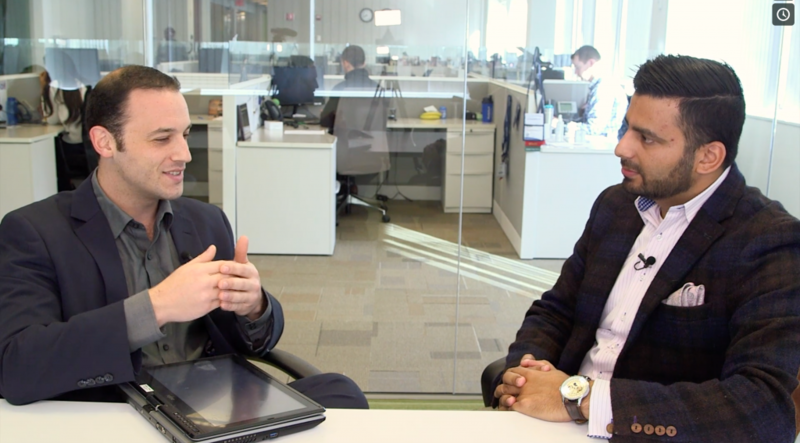 The pair discuss where patient engagement is going within the healthcare industry and how organizations can improve this aspect. According to CMS, The Comprehensive Primary Care (CPC) initiative is a four-year, multi-payer initiative designed to strengthen primary care. In our latest podcast, Dr. Randy Walker and Angie Walker, from Dr. Randy Walker Family Practice & Allergy Clinic, outline their experience with CPC and how they joined the program. In 2015, Congress passed the Medicare and CHIP Reauthorization Act (MACRA). It established new payment systems tied to cost and quality of care, and streamlined various programs into a single Quality Payment Program. 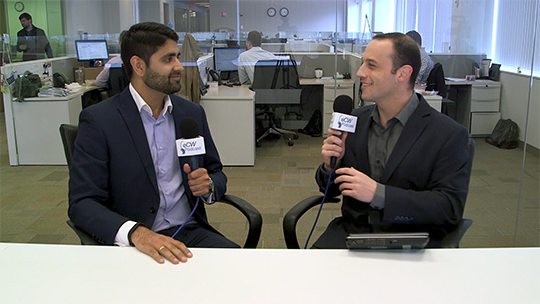 In our latest two part podcast, eCW product expert Rohan D’Souza and Adam Siladi make sense of MACRA, MIPS, & APMs. 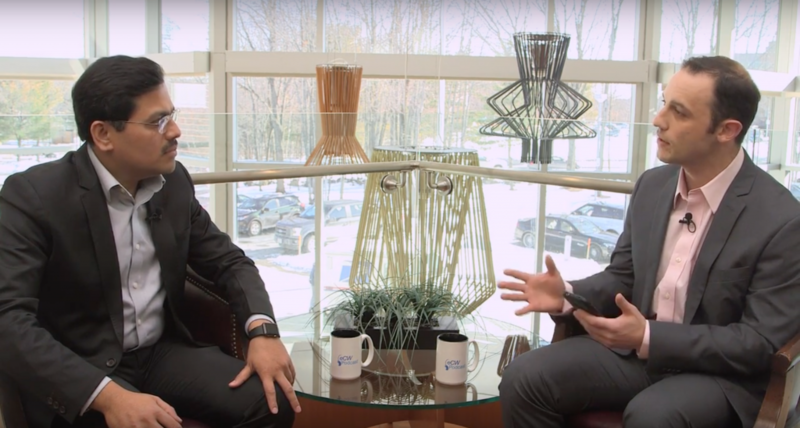 In this episode of the eCW Podcast, host Adam Siladi discusses the ins and outs of Urgent Care with Dr. Robert G. Graw, Jr., CEO of RightTime Medical. Learn about the tools RightTime Medical is using to meet increased patient demand for the services of Urgent Care centers. In our latest episode of the eCW Podcast, we discuss one of our newer ventures – healow@work. 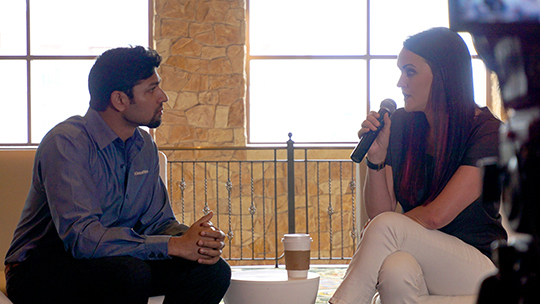 Host Adam Siladi sits down with colleagues Shana Anandjiwala and Kunal Chopra to discuss how practices are using healow@work to improve the health of their employees. 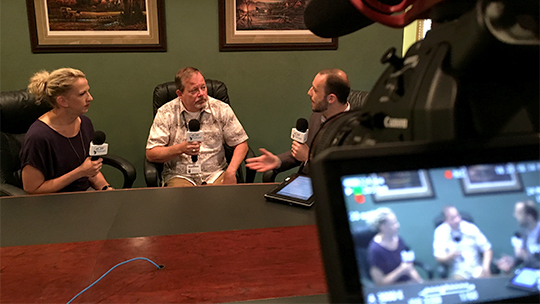 In this episode of the eCW Podcast, our host, Brian Saal, takes time to discuss Chronic Care Management with Dr. Haseltine from Pawleys Pediatrics and Adult Medicine, located in Pawleys Island, South Carolina. 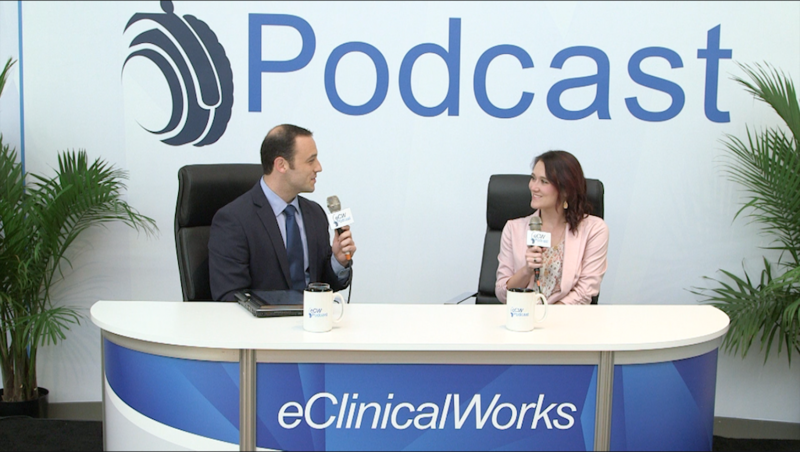 In this episode, Dr. Hayes discusses how eClinicalWorks Patient Portal and healow offer a direct line of communication between providers and patients, improving the patient experience. By receiving a patient’s questions directly in the Patient Portal, Dr. Hayes avoids miscommunication and responds with exactly the information she would like the patient to know. 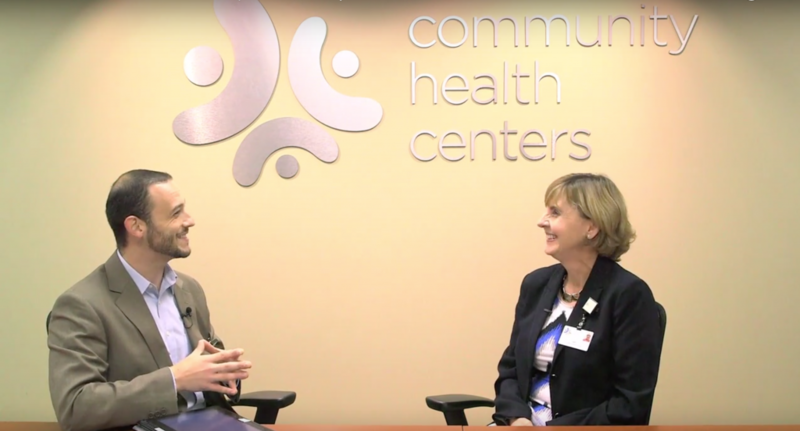 In this episode of the eCW Podcast Season 3, we traveled to California to visit Madera Community Hospital to discuss Population Health. 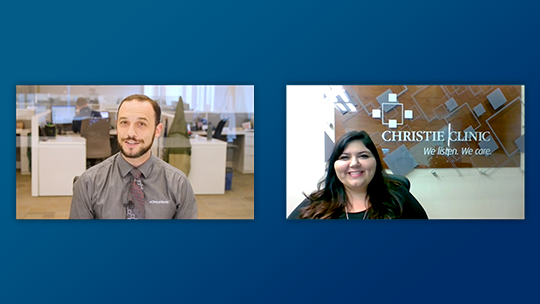 Adam, our host, takes time with Karen Paolinelli, COO and nurse practitioner at Madera, and Nikki Resendez, certified EHR trainer and support specialist, to examine how eClinicalWorks assists their organization in giving their patient population the best care. 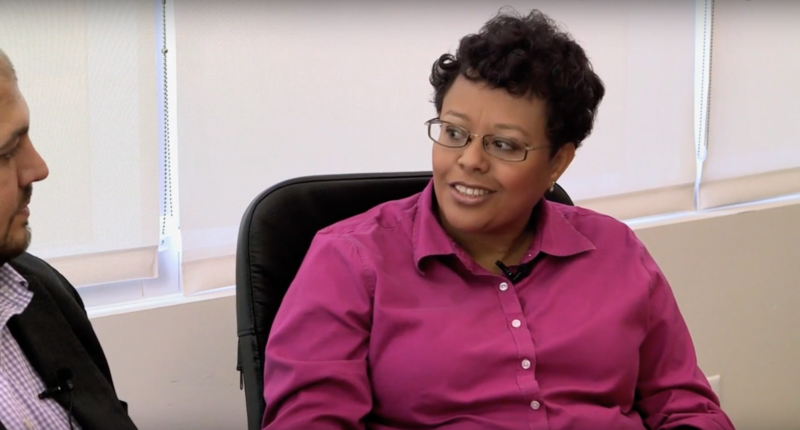 In this episode of the eCW Podcast, our host, Aaron Ibrahimi, takes time to speak with Selam Bullock, founder of Kid’s First Pediatrics, located in Raleigh, NC. 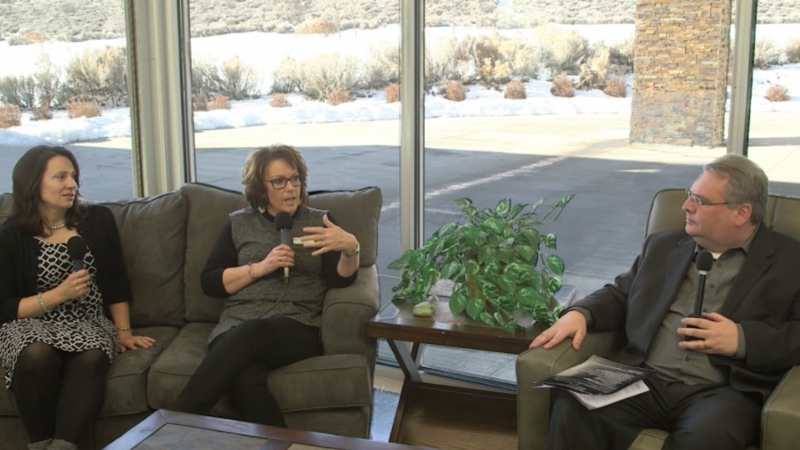 The duo discuss how eClinicalWorks is helping families and has been a positive impact for children and parents. 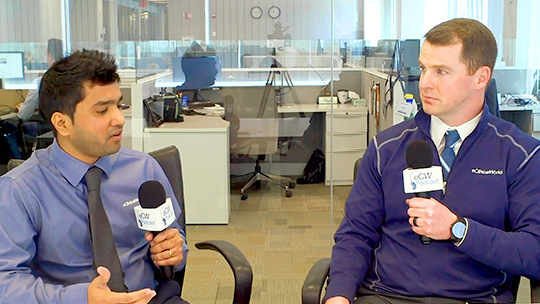 In this episode of the eCW Podcast, our host, Adam Siladi, discusses what’s ahead for eClinicalWorks in 2016 with Vice President and co-founder Sam Bhat. The two discuss exciting trends, including Chronic Care Management, telehealth and patient engagement. 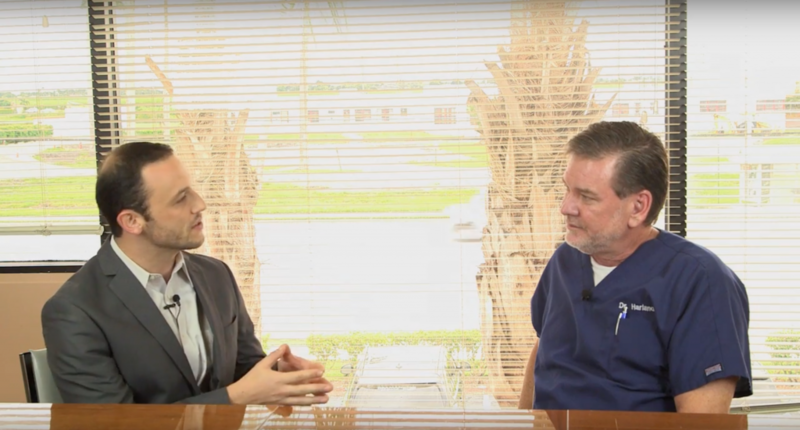 In the ninth episode of eCW Podcast Season 2, host, Adam Siladi, discusses the ins and outs of Revenue Cycle Management (RCM) with Michael and Martin Harland from My Doctor PA, located in Belle Glade, Florida. The brothers explain to Adam what their favorite and the most useful aspects of RCM are and how it has improved the organization. 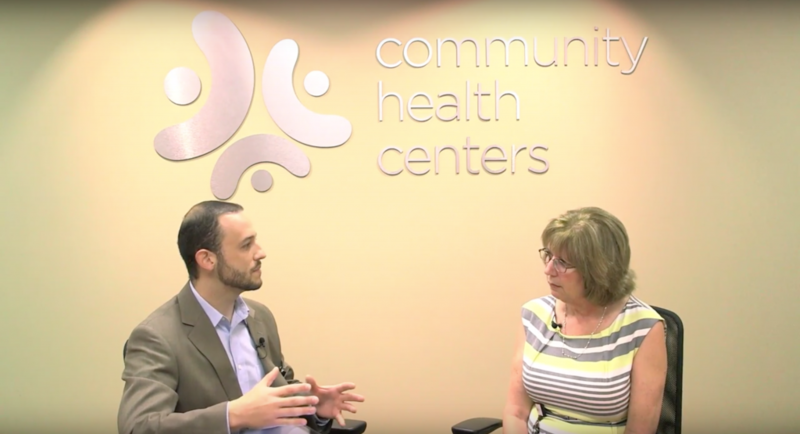 In the final episode of our Community Health Centers (CHC) Florida series, Adam Siladi sits down with Lynn Blankenship, Information Services Analyst, to discuss the healow messenger campaigns. She explains how CHC has been wildly successful by rolling out yearly visit reminders engaging their patients effortlessly. With 32 other available campaigns, Lynn expressed her interesting in utilizing many more to gain further insight into their patient population. Watch to learn more on how healow messenger campaigns can improve your practice. 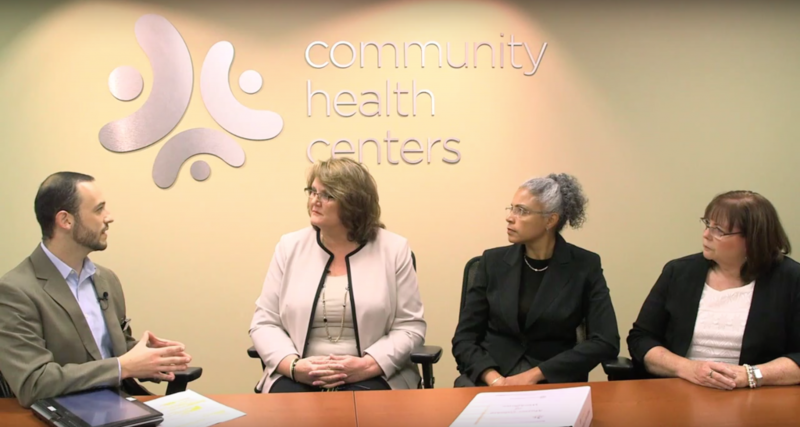 In the third episode of our Community Health Centers (CHC) Florida series, host Adam Siladi discusses workflow analytics with the informatics team, which includes Kim Barkman, Director of Information Services, Yadira Solano, Manager of Informatics, and Lauri Rose, Informatics Specialist. In order to innovate and improve healthcare delivery, eClinicalWorks was chosen in 2009 with the goal of demonstrating significant sustainable improvement in patient outcomes. Over the past six years, working directly with eClinicalWorks has allowed CHC to design and significantly improve workflows by also greatly refining performance outcomes. Listen now to find out how. 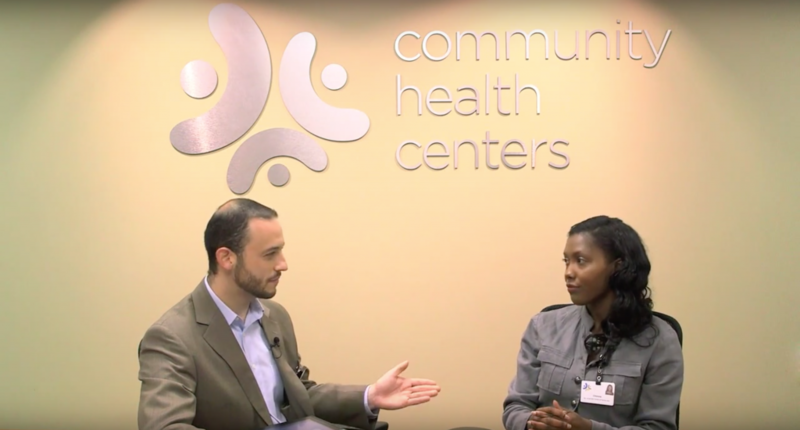 Adam Siladi spoke with Chimira Edwards, Director of Revenue Integrity and Compliance at Community Health Centers (CHC) in the second installment of the Community Health Centers (CHC) series. The two discuss the Patient Centered Medical Home (PCMH) model – Chimira is responsible for PCMH initiatives and pre-visit planning. In addition, Chimira clarifies how an appointment can be more productive when PCMH services are easier to complete by using eClinicalWorks during the transformation process. 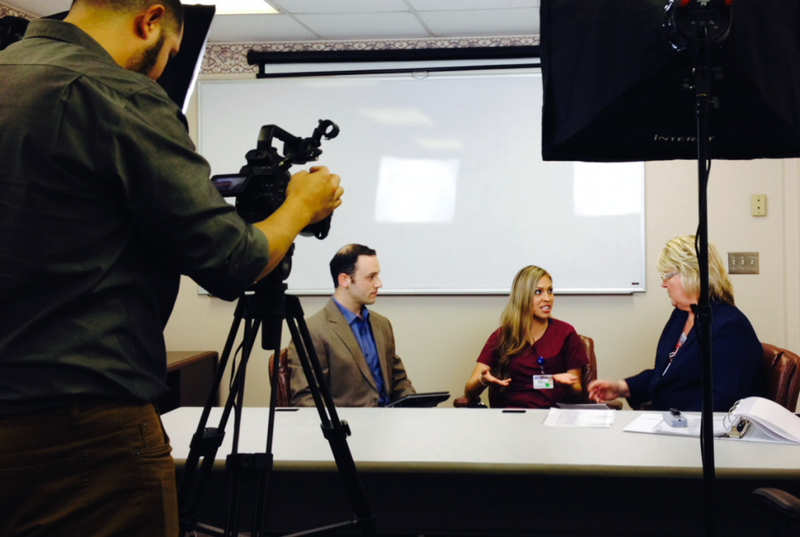 The first of four episodes illustrating improved outcomes with Electronic Health Records. 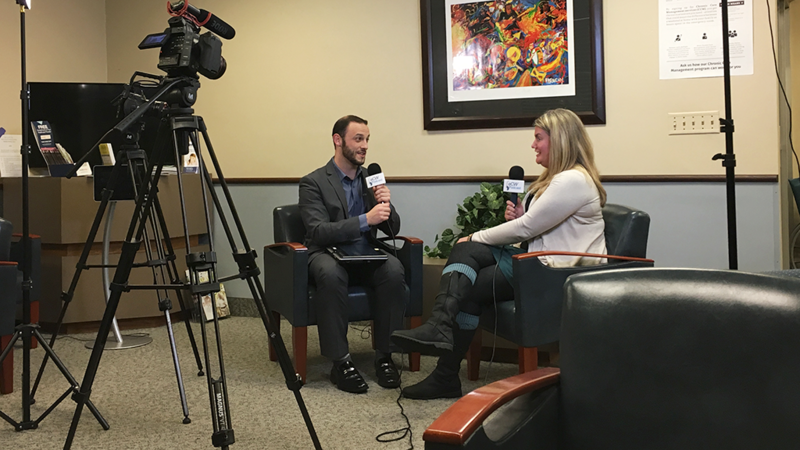 Adam Siladi, our host for our 7th episode in the eCW Podcast season 2, sits down with Margaret Brennan, CEO of Community Health Centers, for the first of four shows in a series analyzing the HIMSS Davies honored organization. 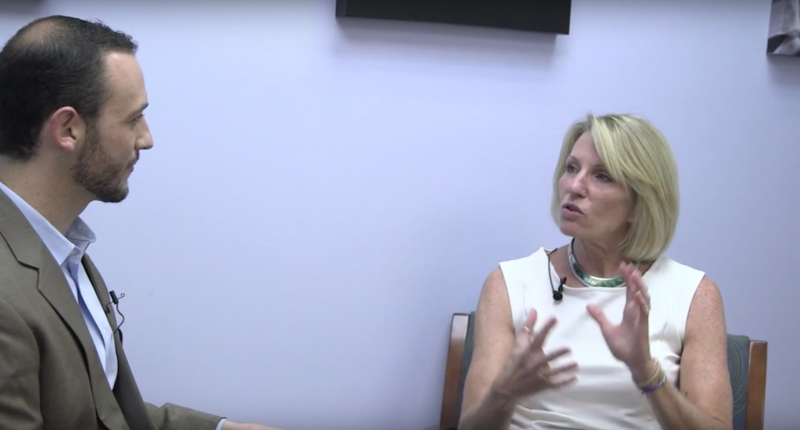 In this episode the two discuss the complexities health center’s face daily. 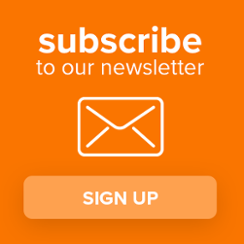 Listen now to learn more. The remaining episodes in the series will be released over the next month. 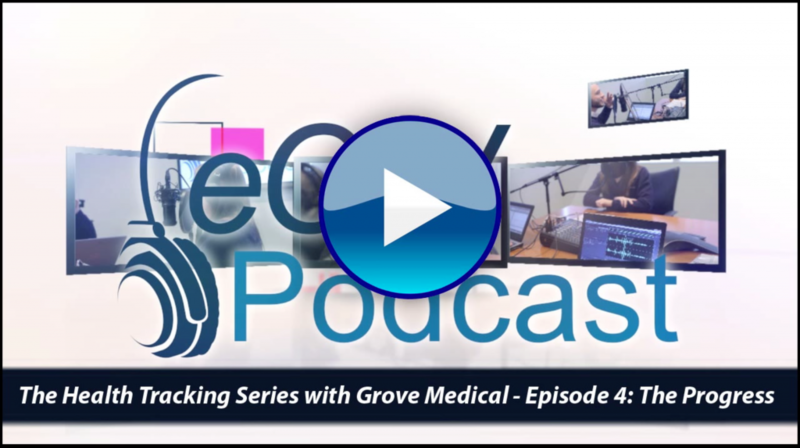 The fourth and final episode in the eCW Podcast series at Grove Medical concludes by examining the results after three months. By using healow and the tracking devices patients had substantial progress, losing a significant amount of weight and even helping save a patient life after he suffered a heart attack. When giving patients the tools to help them monitor their health, when you make it part of an ongoing conversation with their care providers and when you just make it easier for them, it can make a difference. It’s the future of healthcare, and it’s what a doctor should do. 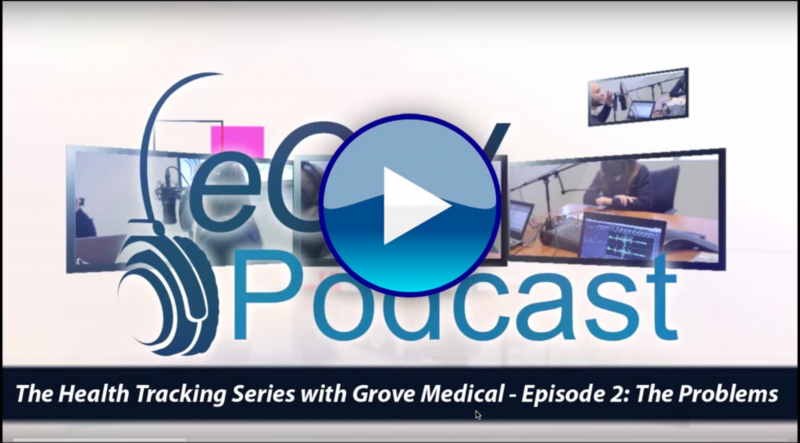 The third episode in the eCW Podcast series at Grove Medical focuses on the different aspects of technology that made the home health monitoring project possible. Our partners, iHealth and Withings provided tracking devices for each patient which allows them to participate in the program. 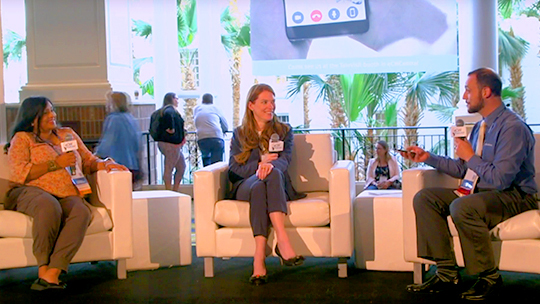 Speaking with industry experts, physicians and the patients, the episode focuses on these three elements: the devices that measure health metrics, the app that let’s patients see all their data and how physicians review the information. The eCW Podcast series continues at Grove Medical as we are introduced to another batch of patients. We learn the personal struggle some had trying to lose a few pounds, wanting to get off of blood pressure medication or a desire to manage and prevent Diabetes. In this episode we learn how technology can help manage the most pressing chronic care diseases through healow home health monitoring. Patients will outline their concerns dealing with these concerns and realize their own goals and expectations. This is an eCW Podcast series, in which we spoke with patients, doctors, nurses and the front office staff at Grove Medical Associates in Auburn, Massachusetts and chronicled their progress. This is the story of healthcare providers who care about their patients and wanted to go beyond the standard office visit dynamic to maintain care even after they walked out the door. Grove Medical wanted to share the findings to motivate other practices to conduct a similar outreach. Patients were open to sharing their stories so others could be inspired to improve their own health. Our goal with this project is to help the patients improve their overall health and well-being, while possibly saving lives. In the 6th episode of the second season of eCW Podcast, we discuss eClinicalWorks Revenue Cycle Management (RCM) with Dr. Lalita Matta and Andreia Medeiros from Marlborough Internal Medicine. The practice is one of the first eClinicalWorks customers and has stayed loyal ever since. They were excited to adopt and implement RCM to reap the many benefits the program provides. Thus far the program has helped make the billing process easier and more streamlined. 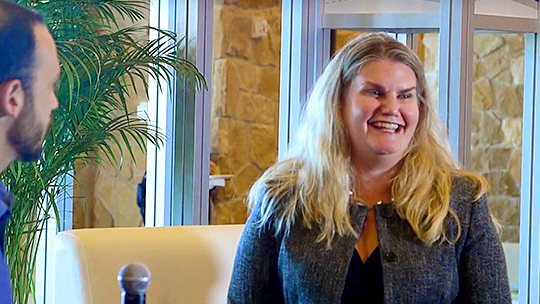 Watch now to learn how the workflow in your practice can drastically improve by utilizing RCM. healow: Get Discovered. Stay Booked. 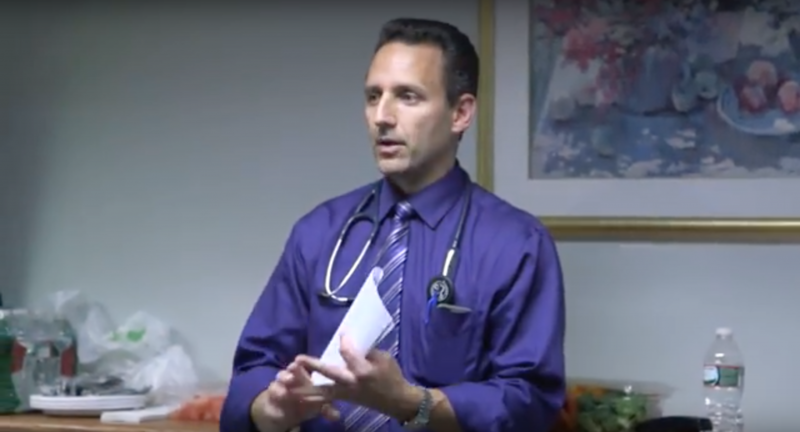 We spoke with Dr. Vinaya Gavini, from Gavini Pediatric & ADHD Clinics, about his success with integrating healow into his practice. Dr. Gavini’s patients have found booking appointments through healow is more convenient and easier as they can complete on their own time, rather than waiting for office hours. Moving forward, Dr. Gavini is very excited to watch healow develop and integrate new features from the technology into his practice. 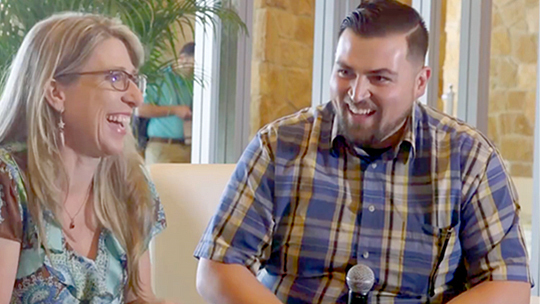 In the fourth episode of the 2nd season of eCW Podcast, our host, Adam Siladi, discusses patient engagement using healow with Shari Crooker of Gwinnett Center Medical Associates. healow significantly improves Gwinnett Center Medical Associates; from the messenger to scheduling appointments, the program itself creates a more efficient practice with fully engaged patients. How can you get paid more while seeing fewer patients? Watch the third episode of the eCW Podcast Season 2 to find out how. 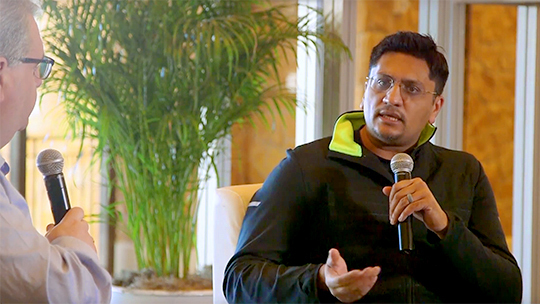 We sat down with Dr. Pavan Anand, from Naples Internal Medicine, to discuss how the eClinicalWorks Chronic Care Management (CCM) has helped keep patients from making numerous hospital visits, along with creating and meeting health goals for each patient. 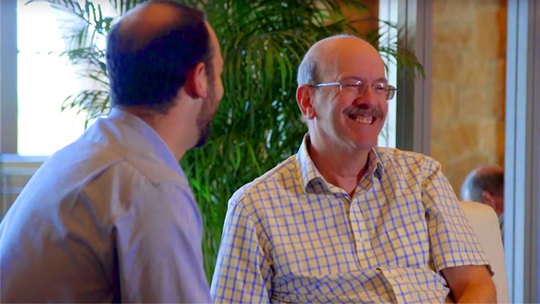 eClinicalWorks customers were interviewed about how the technology has helped to revolutionize their practices. 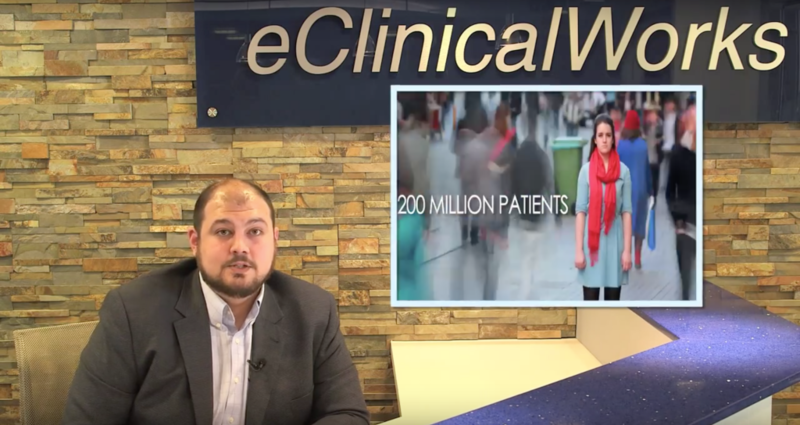 This episode highlights the many different features that eClinicalWorks announced in 2014. With such features, organizations have seen significant improvements, which proved to be an exciting and rewarding year for eClinicalWorks as we expanded upon the definition of healthcare, providing tools to improve access to quality affordable care. Shared savings, pay-for-performance and value based buying have led to the advancement of accountable care organizations (ACO). Hundreds of ACOs from across the country have set to improve the delivery of healthcare, while reducing costs and leveraging evidence based care to collaborate with care teams and patients. At the forefront of the accountable care movement, within a pediatric environment is Children’s Health Network, where we visited for our final season one episode. 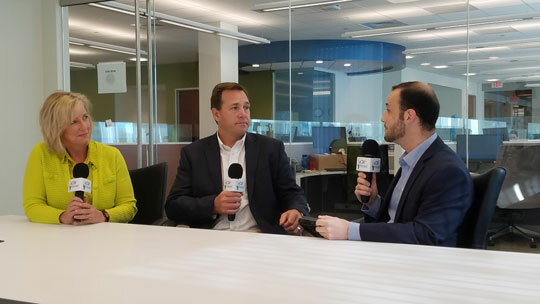 Chad Johnson, CEO, Dave Overman, President and COO, and Kelly Lemieux, Pediatrician from Children’s Health Network discussed the benefits of CCMR and its ability to enhance care. Chad Johnson has since transitioned to the role of Sr. Vice President of Phoenix Children’s Care Network. How will your organization securely bridge pockets of patient information available through ambulatory electronic health records (EHRs), hospital information systems (HIS), and payer systems to generate an accurate picture of patient engagement across the continuum of care? 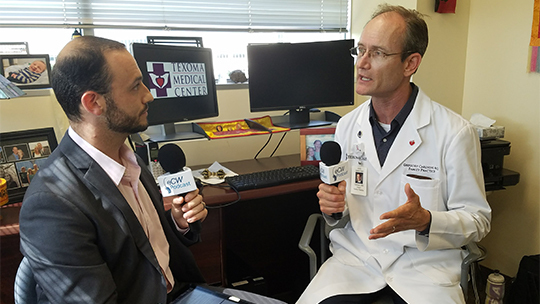 In the 14th episode of the eCW Podcast we discuss with Dr. Biggs, from Amarillo Legacy Medical ACO, how eClinicalWorks provides the tools to improve outcomes. Accountable care organizations (ACOs) and physicians use these insights to assess risk and develop accurate care models, resulting in the improvement of clinical outcomes and the reduction of healthcare costs. Dr. Biggs outlines how eClinicalWorks CCMR is a one-of-a-kind population health management tool that offers intelligent closed-loop analytics for multi-dimensional insights into patient behavior and community health dynamics. 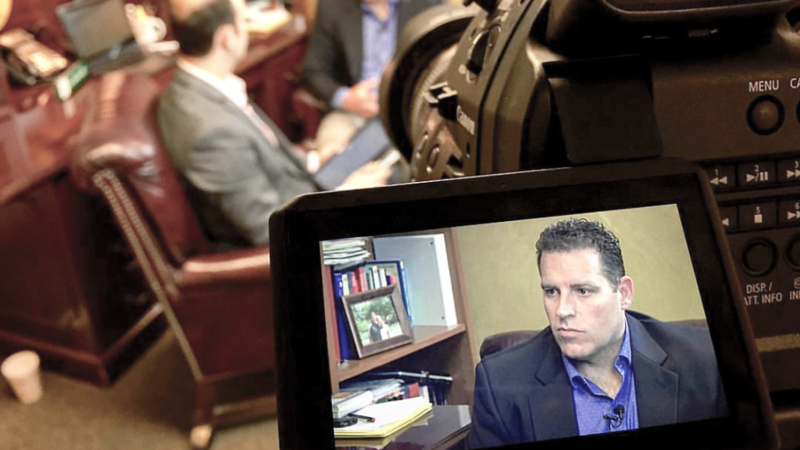 In the 13th episode of the eCW Podcast, our host, Greg Cusato, sits down with Robert G. Graw Jr. MD, CEO of Righttime Medical Care, and Sam Tripoli, training manager at Righttime Medical Care, to discuss how implementing eClinicaTouch has helped to improve their practice. 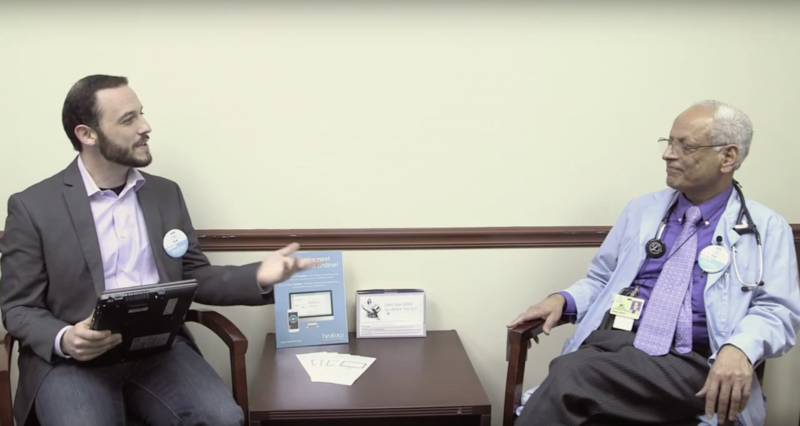 Sam gives Greg insight on how their staff only uses the eClinicalWorks EHR on their iPads, and how it was extremely easy for them to learn how to utilize it to the best of their ability. How can you do less, and still get more out of your interactions with patients? A common complaint in our industry is that healthcare providers are constantly being pressured to do more with less. Increasing regulations and ever more numerous technology offerings can often seem overwhelming to large and small organizations, alike. 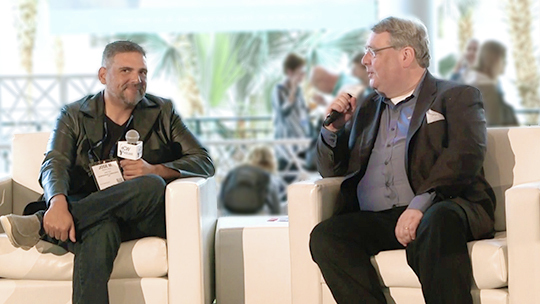 Our 12th eCW Podcast episode, live from the eClinicalWorks National Users Conference, we discussed with Dr. Mark McNeill, from Trillium Family Medicine, how the Patient Portal has increased productivity and greatly improved care. With 80% of patients active on the portal, the practice has 70% of all appointments scheduled by patients on the portal using the real-time scheduling function. Also prior to each visit patients are required to complete a web-visit questionnaire, to get equipment ready ahead of time, or set aside more time for expectedly difficult visit. Have you ever wanted to learn how to better engage your patients? 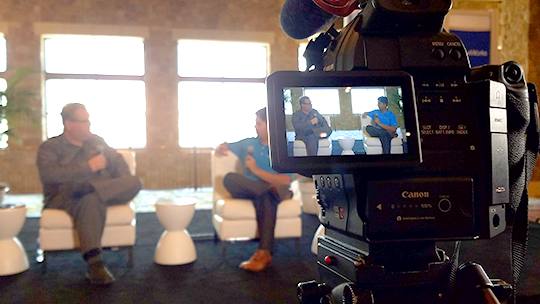 In our live podcast from the eClinicalWorks National Users Conference, our host, Adam Siladi, sits down with Dr. Abney from Cambridge Pediatrics and Dr. Nance, CEO and Founder of WellessenceMD to discuss the opportunities eClinicalWorks has delivered to keep their patients engaged. 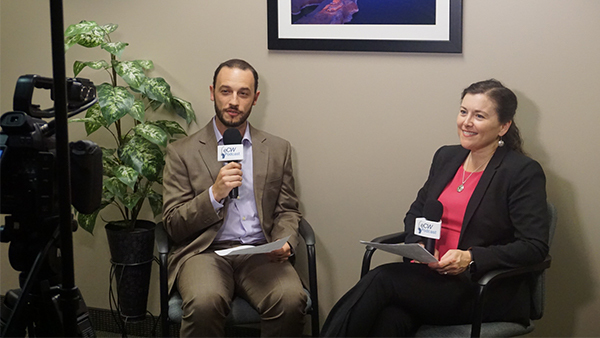 In the tenth episode of the eCW Podcast, our host Greg Cusato sits down with Lauren Borgmann, the EMR Program Manager, and Sheila Allen, the Manager of Quality and Performance Improvement, from HealthNet to talk about their personal experience with eClinicalWorks as a Community Health Center. They touch upon topics such as the great support behind eClinicalWorks, their experiences upgrading to V10 and also how eCW has made their reporting struggles much easier and more accurate. 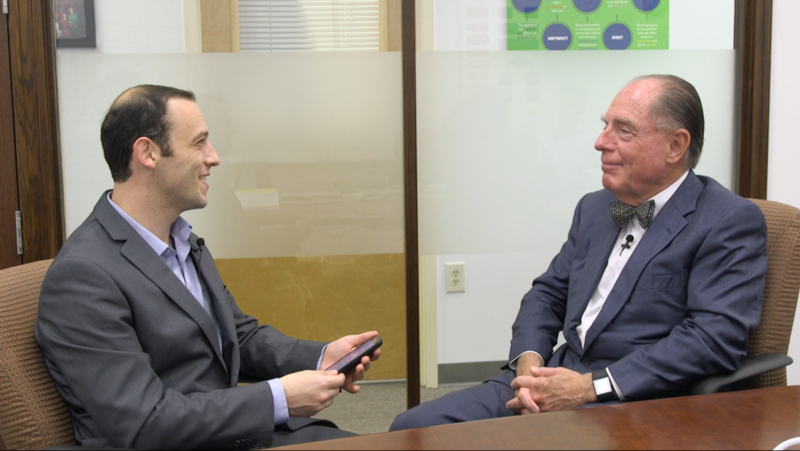 In the 9th episode of the eCW podcasts, we visited with Dr. Michael Rocklin, Director of Clinical Quality, and Dr. Michael Shapiro, President and CEO, both of Denver Nephrology. 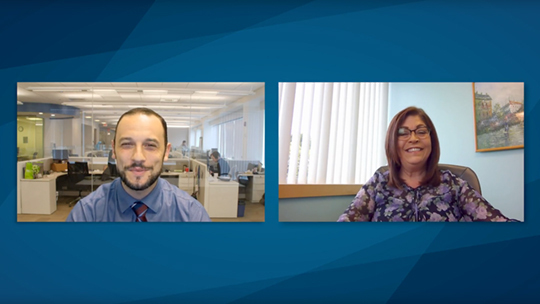 The trio tackles the ins and outs of eClinicalWorks eBO and how it has helped to improve the practice and the reports run, throughout the year. Denver Nephrology utilizes the entirety of eClinicalWorks eBO, including financial and clinical reporting. 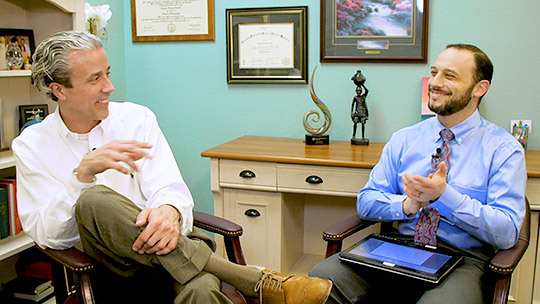 Both doctors are overly satisfied with the features available within the eBO spectrum. For the 8th eCW Podcast episode our hosts, Adam Siladi, Aaron Ibrahimi, Erin Sullivan and Greg Cusato sat down to recap the first seven episodes from our channel. Throughout the podcast, the team recounts many amusing moments during filming and the obvious thrills of traveling. The majority of the humorous instances came from overcoming the initial learning curve of starting a podcast series from scratch. Each also notes learning various efficiencies providers have experienced while utilizing eClinicalWorks. 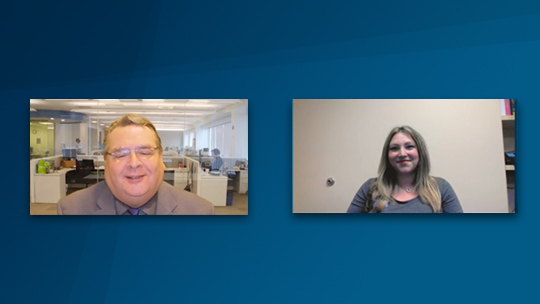 The seventh eCW Podcast, our host Adam Siladi conducts a follow-up Meaningful Use (MU) podcast with Kathryn Johnson, an internal Meaningful Use expert, discussing the specifics of meeting Stage 2 requirements with eClinicalWorks. The previous podcast episode on MU we discussed how it is mandatory for practices to be on a 2014 certified EHR and caught up on the common changes missed in. In this episode, Kathryn discusses tips and tricks, and outlines specifics in order for eCW users to easily meet the MU Stage 2 requirements. From referrals to family history discussions, Adam and Kathryn provide the audience with extensive explanations on each requirement. 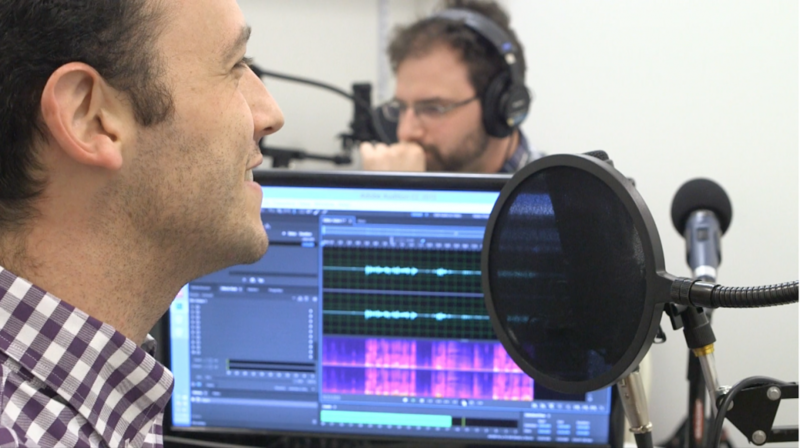 Accessing and managing care anytime, anywhere, putting the patient in control of their health was the thought-provoking topic for the sixth eCW Podcast. The episode featured Dr. St. Claire, from St. Claire Medical, who spoke at great lengths about his initiatives to keep patients engaged in their health. Founded with the goal to improve patients overall health and well-being, St. Claire Medical provides complete, coordinated and cooperative care. Dr. St. Claire alluded to the Patient Portal, which allows him to send and receive messages from patients about their health. In turn, the tool has allowed patients to stay motivated to make better health choices. 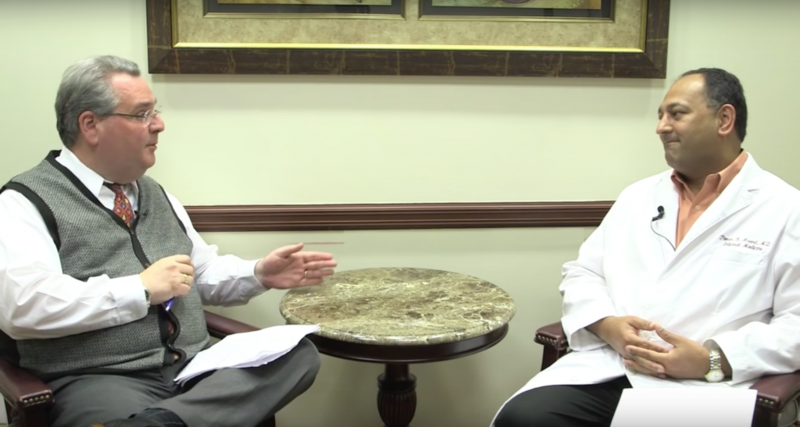 In the fifth episode of the eCW podcast, host, Adam Siladi, sat down with Dr. Mark Vaughan and Dr. Gawayne Vaughan, or better known as, the Dr. Vaughan’s, from Auburn Medical Group. 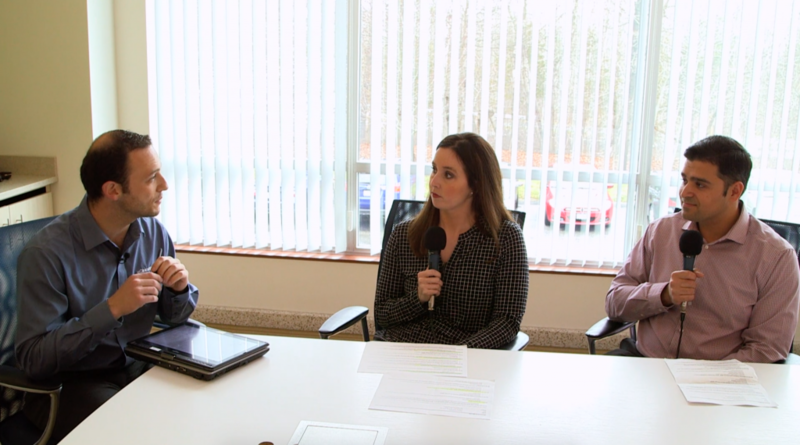 The three spoke about the use of the ever popular, Patient Portal, at the practice. Currently, over 3,200 Auburn Medical patients have successful logins into the Portal, including 1,300 refill requests. Both doctors agreed the Patient Portal is a valuable aspect, providing patients with the tools to communicate directly with the practice and providers with the technology to promote healthcare and make it easier to preform preventative care. As a result, patients are encouraged to become more involved in their own health and well-being. 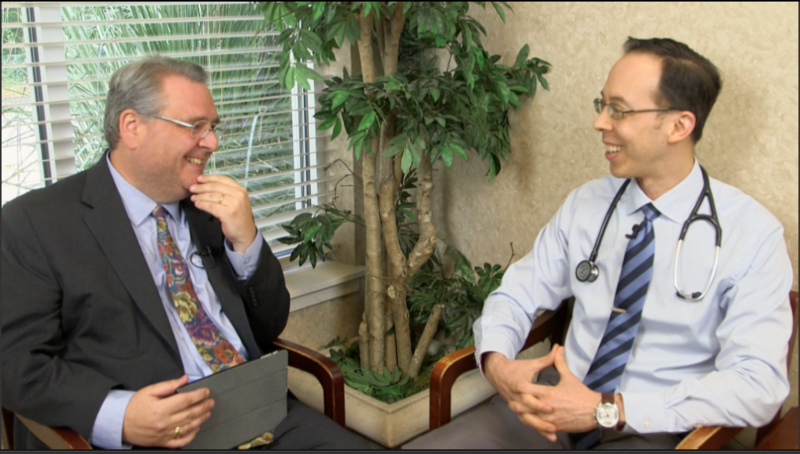 The fourth eCW Podcast featured Dr. Daren Wu, the Chief Medical Doctor at Open Door Family Medical Center, discussing his experience working at the community health center. Serving quality and affordable healthcare to the Hudson River Community, Open Door has nine locations and 78 providers, serving over 40,000 active patients, with over 200,000 visits annually. Working at Open Door for 13 years, Dr. Wu spoke about his continue enjoyment with helping patients in the general community. He also spoke at great lengths about the high quality, high value, medicine community health centers provide to a large population of Americans. With over 1,200 health centers located throughout the country, health centers provide lower cost medicine, better value for the patient, population health enhancements, and develop the communities where they serve. 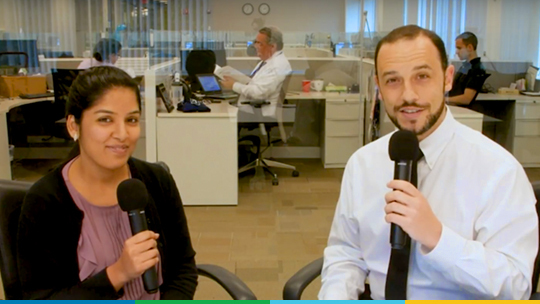 We welcome Dr. Nemishh Mehta and Dr. Shilpa Mehta, from Bear Internal Medicine and Pediatrics, Newark, DE, for the third eCW Podcast. The long time users of eClinicalWorks (2004) discuss how the EHR has helped to improve their Internal Medicine and Pediatric practice. The intuitively designed solution was easy to learn and to develop specialty-specific tools and templates. From answering messages in the Patient Portal, to utilizing eClinicalMobile while on vacation, their extensive use and knowledge of eClinicalWorks, allows the Mehta’s to care for patients 24/7. With a hands on approach, the doctor’s wear many hats, from IT, physician, and even biller. Luckily, eClinicalWorks allows them to accomplish these feats with the streamlined technology, improving efficiency and care. At the end of the day, the Mehta’s know they are doing everything they can to ensure the practice is being run correctly the first time. 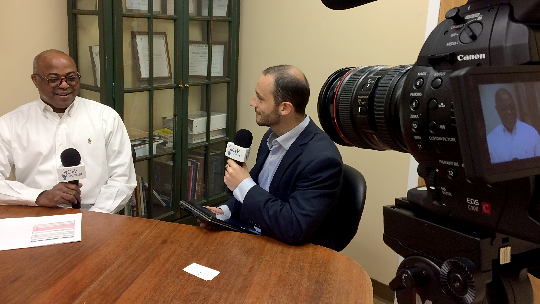 The second eCW Podcast features, Aaron Ibrahimi, eCW host, who discussed eClinicalMobile with Dr. Michael Dominguez from HealthTexas Medical Group, to educate our listeners as to how the remarkable technology has improved his practice. A beta client for eClinicalMobile since 2009, Dr. Dominguez has thoroughly enjoyed having real-time access to vital information when away from the office. Overall the app has improved his productivity, as he now has 24/7 access to the eClinicalWorks EMR in the office. With 15 locations, throughout the general San Antonio area, and serving over a thousand patients daily, eClinicalMobile is a vital tool to manage and treat each individual like they are number one. With the ability to leverage the power and convenience of today’s web-enabled smartphones, eClinicalMobile delivers the data you need, anytime, anywhere. In the off chance he forgot to send in a prescription, Dr. Dominguez has the ability to send prescriptions for the patient via the mobile app. Dr. Dominguez explains to Aaron the handful of features which have enhanced the mobile app. The inaugural eCW Podcast features Adam Siladi, as the eCW Podcast Host, and Elizabeth Schreiner, Meaningful Use Consultant, discussing Meaningful Use (MU), insight into some of the upcoming adjustments for 2014, and finally they catch up on the common changes missed in 2013. Also touched upon are each stage of MU, overall benefits, and a reminder about the past March 31st deadline for the Medicare reporting. During the podcast, Schreiner explains how many jokingly use the phrase “meaningless use” when referring to Meaningful Use, as the majority of practices have a fear of adopting EHRs. She explains why the word “meaningless” should be, in fact, the last word used to describe Meaningful Use. Once a practice experiences the advantages from the program, it is always delighted with the outcome for both the providers and patients. She strongly recommends every eligible practice take advantage of the program, outlining how the incentives include only provided money and, more generally, improving health outcomes. For additional assistance, audit documents are available on the support portal.